For 47 years has been erecting interior and exterior steel stairs with guard rails and hand rails,steel, stainless steel, and aluminum hand rails,steel ladders with cages, ornamental rails, steelbeams and columns, steel joists and steel deck for floors and roofs, furnishing detailed shop drawings to standards of The american Institute of Steel Construction. Have you ever thought about how the company you choose for steel projects has a lot to do with the integrity of your building and steel components? You need to choose a firm with a professional staff of engineers who understand the intricacies of design-built projects. They work with each individual and business client to design the plans that will result in quality steel-built components and structures. You want to find a company that specializes in Engineering and Welding with a proven culture of quality, safety, and attention to detail. That’s why you should learn more about Engineering Welding& Fabricating Co., INC. We are proud to operate a company respected in the industry for total quality in steel design and manufacturing. One of the first things you should do on our website is learning about our special capabilities and projects. We have different expertise in our company that might assist your needs, especially if what you really need is a small business or consumer version of steel fabrication. We are proud leaders in Steel Construction and Fabrication. We have the capabilities in our facilities to help clients build many types of steel forms and even entire steel structures using the latest building and design techniques. 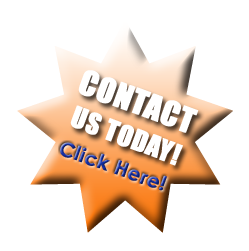 As RI Fabricators, we are able to bring our technical and engineering specialists to work for many types of projects. The customer experience begins with the first contact, and it continues through every phase of planning and executing your steel project. We are so glad you stopped by and considered hiring us for your next Steel Construction project. We don’t just make steel structures. There is a division of the company that specializes in assembling and erecting steel structures on-site. That means that our clients rely on total quality from the same company that expertly handles design and engineering, fabrication, and construction. In a sense, your company finds continuity throughout every stage in steel construction projects, helping you to meet your deadlines and keep within your project budget. Thank you for taking an interest in our company. For more information about pricing and availability of welding and engineering services, please call (401) 884-1484. It is our hope that you will choose our company for all of your steel needs! Take the time to ask for the specific services you require, and we will use our considerable resources, including the collective expertise on staff, to put together a quote that you can build a project around! Engineering Welding & Fabricating Co., Inc. for 47 years has been fabricating and erecting: steel stairs and guard rails, interior and exterior steel ladders with cages, ornamental rails, steel beams and columns, steel joist and steel decks. Through our experiences on these projects, Engineering Welding & Fabricating has developed into a company that works cooperatively with each General Contractor and owner, delivering quality products in compliance with plans and specifications. We take pride in delivering properly fabricated products on time and within budget. 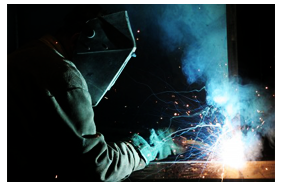 We employ welders that are certified to the standards set forth by the American Welding Society. All our fabrication and erection is performed with in the guidelines of the American Institute of Steel Construction. We are fully capable of developing your basic ideas into a fully functional fabricated product. Our shop facilities give us the ability to drill and punch holes, shear and bend plates. This allows us to custom fabricate products and fabricate components to make repairs to equipment. We have portable welding and cutting equipment that allows us to perform on site fabrication and repairs. Letters of recommendation from the area's finest contractors are available upon request.